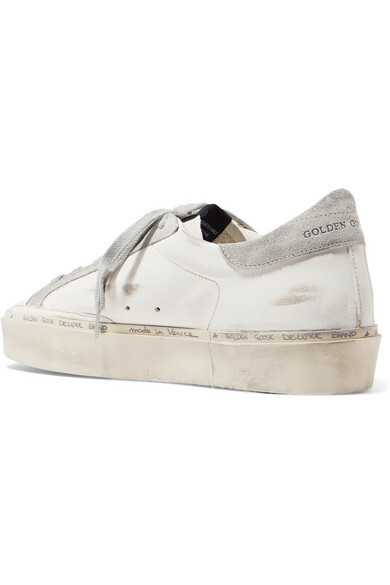 Golden Goose's sneakers are purposely distressed for a lived-in feel, which means they will only get better with wear. Updated in a fresh colorway for Spring '19, this 'Hi Star' pair has been made in Italy from supple white leather that's accented with a gray suede heel tab and signature star appliqué. 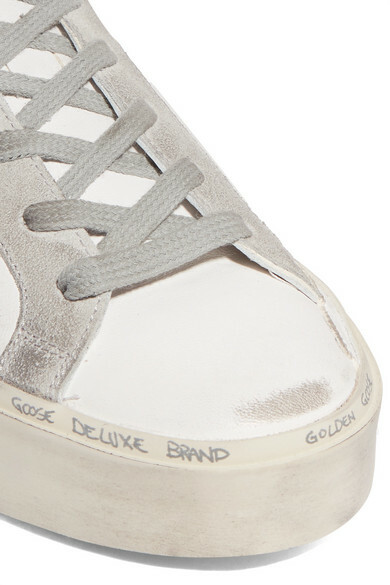 The chunky platform sole is finished with hand-written lettering and feels ultra comfortable. 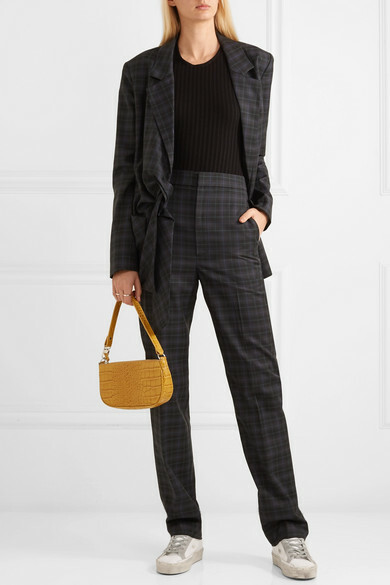 Shown here with: Tibi Blazer, The Range Bodysuit, Tibi Pants, BY FAR Shoulder bag, Sophie Buhai Ring.